Retreat to beautiful Malaga, Spain with a luxurious timeshare resale or rental at Macdonald Resorts Dona Lola. When you shop the available inventory at SellMyTimeshareNow.com, you can uncover savings up to 70% off the retail price tag. Experience the beautiful country of Spain with an exotic getaway to Macdonald Dona Lola Club. this fine resort property offers everything you need for a fun, yet high-end retreat on the coast of Malaga. Enjoy access to a variety of on-site features including indoor and outdoor pools, luxury spa services, a sauna and steam room, and a nearby golf course. You can also indulge in fine dining at the La Plaza Beach restaurants with live entertainment and views of the Mediterranean Sea. This year-round destination also features gorgeous beaches, restaurants, bars, shops, and entertainment venues for you to explore just minutes from the resort for a well-rounded and active vacation. Choose from a fine selection of one-, two-, and three-bedroom apartment style accommodations. Sleeping four to eight comfortably, these are the perfect suites for a couples or a family retreat with plenty of room for everyone. All come equipped with kitchen appliances, full bathrooms, televisions, living rooms, and wireless Internet. For an added touch of luxury, you can take in views of the pool and beach from your private outdoor balcony or patio while you bathe under the warm, glowing sun. 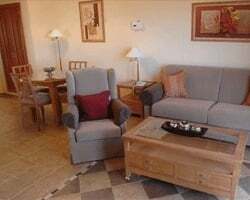 Let us help you plan your perfect trip to Spain with an affordable Macdonald Dona Lola resale or rental property. Get the process started by completing the form on the right side of the page or calling us directly at 1-877-815-4227 for further assistance. Believe it or not, you can afford to take your family on an annual vacation. How? When you buy a Macdonald Dona Lola Club timeshare resale on the secondary market, you'll save thousands of dollars off retail while being able to enjoy a lifetime of affordable getaways. Here, owners are advertising their individual timeshares based on the accurate market value. They don't include the extras resort developers tack on such as sales commissions, taxes, and hidden fees. This way, you only pay for exactly what you are buying. The price differential between retail and resale can be up to 70% off, making timeshare ownership more attainable for more people! Our inventory of Macdonald Dona Lola Club resales features deeded fixed and floating weeks with annual usage. You can choose how you want to vacation by picking a fixed week or a floating week. A fixed week gives you the security of always having your vacation week of choice locked down without needing to make a reservation. A floating week gives you some more flexibility to choose between multiple weeks within your ownership season based on availability. They both have perks, it's all a matter of what works for you. Macdonald Dona Lola is a part of the privately owned brand, Macdonald Resorts. Featuring an impressive selection of vacation ownership properties in Wales, Spain, Scotland, and England, Macdonald allows their owners to indulge in fabulous vacations in top destinations. Each resort offers unique accommodation styles such as apartment and chalets that reflect the local culture for an intimate and authentic vacation experience. Macdonald Resorts is also very well known for the high-end, award-winning restaurants located on-site at each resort. Macdonald Dona Lola Club timeshare owners can choose to upgrade to the Macdonald Resorts Options program after purchasing. This provides you with an annual allotment of points that can be used to reserve getaway at any of the 70 Macdonald Hotels and Resorts all through Spain and the United Kingdom. This gives you a wealth of travel options, allowing you to experience a new destination with each vacations. Macdonald Dona Lola Club owners have more travel options through the property's affiliation with RCI and Interval International. These two top external exchange companies boast their own impressive portfolios featuring thousands of top-rated vacation ownership resorts all across the world. Macdonald Resorts Dona Lola owners can purchase an annual RCI membership, Interval International membership, or both! Once a member, you can deposit your Macdonald Dona Lola Club timeshare week with your company of choice and make a reservation at any of the available resorts in their network. This simple and affordable method makes it easy to travel the world. Additionally, Macdonald Dona Lola Club is an RCI Gold Crown rated resort and an Interval International Select Resort, giving owners a higher trading power when exchanging with either company. Macdonald Dona Lola Resort on the Costa del Sol offers high quality accommodations and facilities to ensure great vacation experience for couples and families. 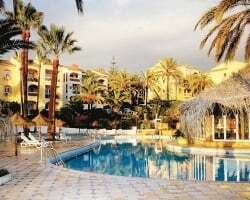 The resort's well maintained gardens with palm trees and tropical plants slope gently down the hillsides toward the beach and the Mediterranean Sea. A 270 foot long outdoor swimming pool curves along the cliffside and around the restaurant, giving swimmers and sunbathers a striking view of the blue ocean waves. Other world-class amenities include a 2nd outdoor pool and indoor pool, fully equipped gymnasium, Turkish bath, beauty salon, and golf course. The charming town of Calahonda is a short distance away, where visitors can find tapas restaurants, nightlife, and boutique shopping. Local attractions include Marbella, Puerto Banus, Ronda Tivoli World Amusement Park, Mijas Water Park, and plenty of opportunities for fishing, boating, snorkeling, and other water sports. Already Own at Macdonald Dona Lola Club?